The U.S.-Mexico-Canada Agreement: What’s New in NAFTA 2.0? WITA > The U.S.-Mexico-Canada Agreement: What’s New in NAFTA 2.0? On Thursday October 18, 2018, WITA discussed the new provisions under the U.S.-Mexico-Canada Agreement. To view the event video, click here. On October 1, 2018, President Trump announced completion of negotiations to update and modernize the North American Free Trade Agreement. 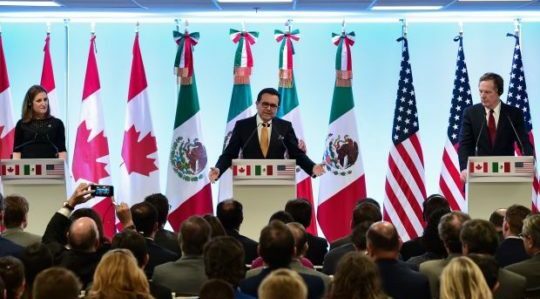 The new U.S.-Mexico-Canada Agreement is a landmark achievement for the Trump Administration and addresses critical issues facing American workers and firms across the continent. Please join WITA as we examine this agreement.